the Chinese account for 20% of the world’s population, but only contribute 1% to value sales of fragrances. The average Chinese person is not used to wearing perfume, unless they are extremely particular about their image, usually those who work for international companies or as high-ranking executives. You can read my piece for more details, but the basic nutshell is that, for a variety of different reasons, fragrance isn’t commonly perceived or used in China the way that it is in the West and it is primarily purchased as a prestige thing by the fashionable Chinese elite at this time. That is why Chanel dominates the market. In 2012, it had a 12% share of the market (sales), followed by Dior with 8%. Calvin Klein, Hugo Boss and L’Oréal China were in third, fourth and fifth place, respectively. 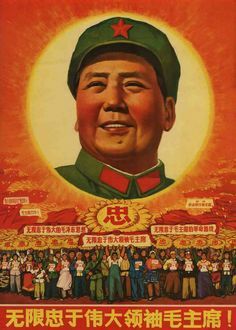 Vintage Mao ad from the Cultural Revolution days. Source: Pinterest. The new Dodwell article repeats these figures, but that wasn’t what interested me. It was the illegality of fragrances under Mao‘s rule and during the Cultural Revolution. As my piece, his piece, and every piece on China usually notes, there isn’t a longstanding Chinese perfume culture in the same way that there is in such countries as France. Attitudes are different, the role of scent is different, and even basic body aromas are different as well. But what was complete news to me was Dodwell’s comment that Mao literally made perfumes illegal. Flat-out illegal! It seems the first, and perhaps most important reason for China’s laggardliness is the country’s recent chaotic history. During the Cultural Revolution years, the use of perfume was literally illegal. Whoever used scents or perfumes before 1967 either suffered torture and humiliation as a poisonous weed, or quickly got rid of any evidence. By the time the country began to emerge after the overthrow of the Gang of Four, Chinese people had lost the habit. And anyway, during a period of such widespread poverty, perfume was a luxury most were happy to ignore. Whatever perfume industry existed before 1967 evaporated into thin air. It’s obvious that symbols of Western bourgeois “decadence” would be frowned upon during the Cultural Revolution, but the implication of an actual, specific law targeting fragrance and creating illegality took me by surprise. And I’m still not sure there was precise, officially enacted legislation on the subject. 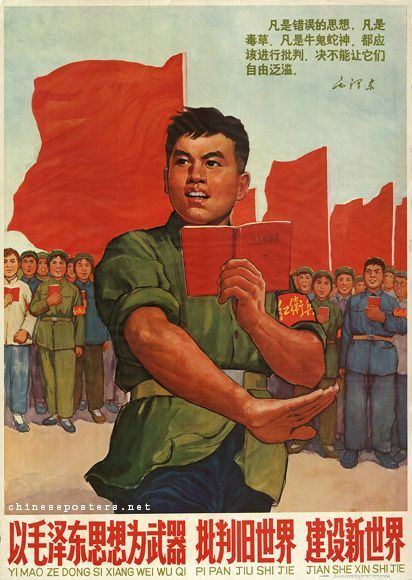 There may only have been mere comments by Mao in his “Little Red Book” of quotes. Admittedly, that may have been enough and he may not have needed to pass actual legislation because his word basically amounted to the law back then. Still, I spent a fair bit of time in trying to find more details on the subject and on what Mao may have explicitly decreed, said, or thought about the use of fragrances, but I didn’t have much luck beyond generalities. One scholar wrote that Mao saw cosmetics (in which perfume was lumped or included) as “abhorrent symbols of ‘bourgeois decadence. '” (See, Geoffrey Jones, Beauty Imagined: A History of the Global Beauty Industry, Oxford University Press, 2010.) A novel called Liason by Joyce Wadler had an illuminating paragraph detailing all the things which were deemed objectionable by the Chairman and his Red Guard, ranging from perfume to “the old arts,” “nonproletarian clothing,” and even poor Balzac and Victor Hugo. There isn’t much else as specifics go, but I suppose you don’t really need it to get the essential bottom line which is that, between ideological, political, and, later on, basic financial impecunity reasons, China’s vibrant olfactory history came to screeching halt. the extraction of a plant’s fragrance was thought to liberate the plant’s soul. 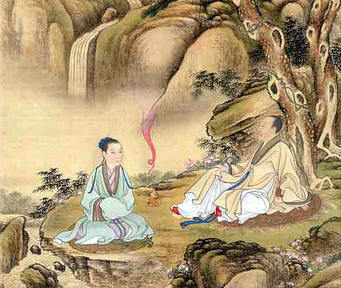 The transformation of solid incense into scented vapours mirrored the transmutation from the physical or mortal state to a spiritual level or Tao. Traditionally there was little distinction between incense, perfume, herbs or spices. 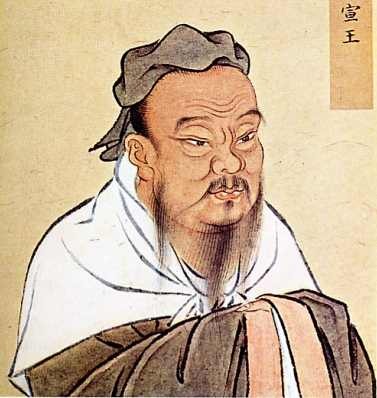 The Chinese believed “every perfume is a medicine” and that a deep connection existed between an aroma and the status of the mind and body. The word “Heang” was ascribed to a perfume, incense or fragrance. “Heang” has 6 classifications according to the mood it creates: tranquil, reclusive, luxurious, beautiful, refined or noble. 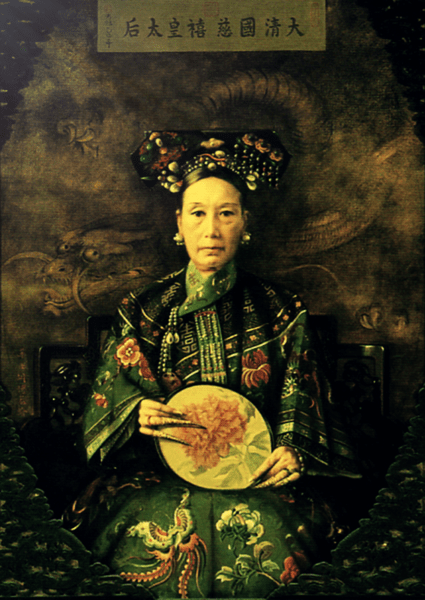 Qing Dynasty art. Source: Pinterest. Incense’s popularity was much stronger in the past than at present. It was very common for people, especially those from noble families, to place incense burners in their houses and even near their beds. Before leaving the house, the noblemen would have their clothes infused with incense so that they could enjoy the sweet smell all day long. 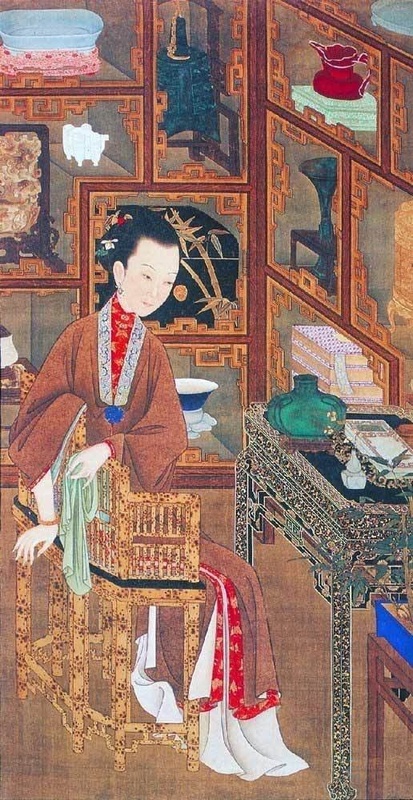 According to many classic Chinese books, poems, paintings and antiques, fashion-conscious women would wear the nectars distilled from many kinds of flowers such as lily, lotus and chrysanthemum. Every morning they would apply a few drops of the nectars, which would keep them smelling good the whole day. It was also common for high-ranking families to invite friends over to appreciate some special kinds of incenses. This kind of party was just as popular as the karaoke parties of today. In modern China, actual fragrance in liquid or spray form is a bit of a different matter, though. My earlier piece provides some reasons therefor beyond the historical/Cultural Revolution background, like, for example, biological physiology with Asians not really sweating like Westerns, or the importance of cleanliness determining the popularity of certain types of olfactory products. As a result, body sprays like Axe or even indirect scenting from the lingering effect of laundry products are popular. When actual perfume is bought, it seems to be a prestige thing and ideally involves the lightest, quietest, and freshest compositions possible. “Bulgari has enlisted Korean celebrities such as singer-songwriter, composer, and actor Jung Jin Young (정진영) to promote perfume to men.” Verot/Jing Daily. Strong, powerful fragrances may be seen as a vulgarity by some, but a 2014 article in Jing Daily by Olivier Verot called “The Scent Of Opportunity: How China’s Fragrance Market Can Reach Its Potential” referenced yet another obstacle to wide social acceptance amongst all sectors of society: gender associations. 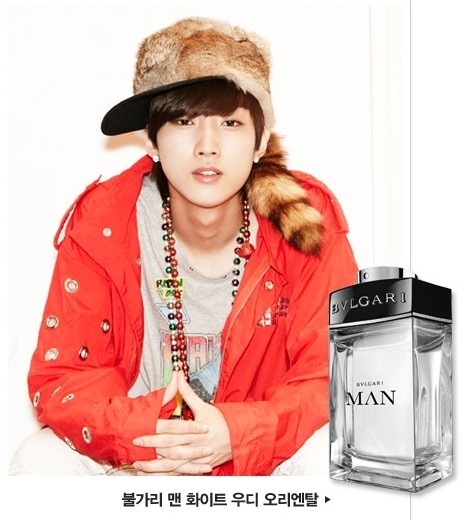 Fragrance is not seen as a manly thing because, as the Jing article explains, “the word ‘scent’ evokes femininity above all, which places an additional barrier to the sale of perfumes for men.” As noted in both his piece and my own earlier one, companies are using popular male celebrities or actors (Korean and Japanese) to make fragrance seem more acceptable to men, but it still has a long, long way to go. But what about the question that led to Dodwell’s curiosity and article on this whole matter to begin with, his puzzlement why he couldn’t think of the name of a single one of China’s own perfumes (as opposed to those put out by Western companies like, say, Bvlgari)? It’s a valid point, but I personally think the answer is partially a simple export issue. 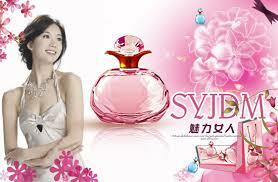 China doesn’t export and market its own fragrances the way it may do its technological or other consumer items. It’s simply not as important, serious, or valued. Even so, just because we in the West or Mr. Dodwell in Hong Kong can’t instantly think of the name of a Chinese fragrance doesn’t mean they aren’t made or, in fact, popular. I saw quite a few billboards for fragrance when I was in China, and it wasn’t solely Brad Pitt’s face staring down at me for Chanel. In my earlier piece, I used a Chinese fragrance ad (right) and it wasn’t hugely difficult to find, either. The perfumes exist, they’re sold, but they don’t have a huge market share for the related, interconnected reasons I’ve discussed above regarding the social and cultural attitudes towards scent. Since they’re bought primarily for prestige reasons instead of olfactive ones, that’s why a brand like Chanel has the largest market share instead of a locally-produced fragrance. Chinese elites and their courtesans also had a habit of carrying bags of scented petals and leaves among their clothes. The most cherished (and expensive) scents seemed to be chenxiang (in English, Agarwood) and floral water (used as much as an insect repellant as a perfume). About 120 years ago, a Shanghai company called Liushen began making a soon-famous scent called Shuang Mei, or Two Sisters, which eventually became popular in the 1930s as far afield as Paris with the brand name Vive. But in the chaos of the 1930s and 1940s Liushen was absorbed by Shanghai Jahwa, the country’s biggest chemicals company, and Shuang Mei disappeared. Shuang Mei‘s fragrance seems to have been an eau de toilette and, while I haven’t managed to learn what notes were in it, it appears to be completely unrelated to the oud mentioned by Dodwell in passing. 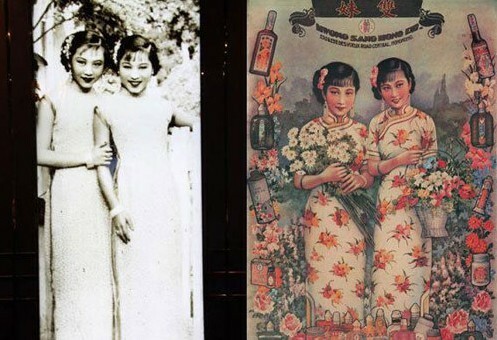 From what I’ve gathered, Shuang Mei (“The Two Sisters”) was a cosmetics brand founded in 1898 and, now, apparently set to make a return in modern China. (See, Beauty and the Eyes of the Beholder, Chinaview.cn; and Luxury perfume brand Shanghai Vive retakes China.) But it had nothing to do with oud. 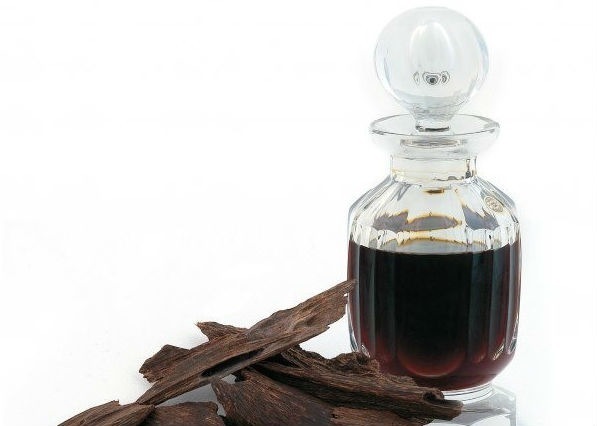 there has been a rise of local brands with luxury perfume brands such as those that make chen xiang (沉香), known in English as agarwood, which is very much sought by wealthy Chinese not for its smell but for the prestige brought by having such an evanescent perfume. “Chen xiang is one of China’s most sought-after and expensive fragrances.” Caption from Veriot Jing Daily article. The articles I’ve read have a perplexing linguistic tendency to use the word “Chen Xiang” interchangeably for both the actual wood product and for the alleged, purported local fragrances which Verot describes. Same with the word “perfume” or “fragrance” being used to reference mere olfaction or scented odors. Beyond the Verot piece, I’ve found several other references to the same magical, mysterious, oriental “perfume” that Chinese luxury buyers are going crazy for, but none of them give a specific name or brand. Instead, they merely launch into a discussion of agarwood and its history, talking about it as a wood product more than an actual olfactory composition sold in a bottle. That’s the case for the Verot/Jing Daily article but also for two others, like one from Shanghai Daily that I’ll get to in a minute, or the Cosmetics China Agency’s “The new fragrance that every wealthy Chinese fight over for.” At this point, I truly have no clue if there is an actual Chinese luxury oud eau de parfum out there, or if people are simply using the term “perfume” imprecisely and sloppily as a catch-all for the fragrant vapors of the burnt wood chips. I really think it’s the latter, and that they’re not actually talking about a liquid composition in the conventional Western or European sense. The only thing that is completely clear to me is that the evanescent aroma of those wood chips is prized by the luxury-minded elite and that prestige is, once again, a part of it. A 2013 Shanghai Daily article by Wang Jie entitled “Chinese fragrance more precious than gold” was fascinating to read because it demonstrated the extent of the current oud craze in China. Apparently, there is a very famous television host called Wang Yinan who heads up an actual oud appreciation and research society called The National Chen Xiang Research Association. He explained to the reporter that, in ancient and Imperial China, the elites used oud “in traditional Chinese medicine as a tonic, diuretic, stimulant and aphrodisiac [… and] to treat heart pain, stomach pain, fatigue, stress and anxiety.” Nowadays, though, oud has become “the ultimate luxury, without parallel” for the simple reason that its smell is so fleeting. “A sculpture carved out of agarwood from Tarakan, Indonesia.” Source: Shanghai Daily article. The impression I have from reading his words and the article is that burning oud is the ultimate status symbol because it’s akin to seeing piles of your money go up in smoke. The journalist wrote that “the price of a piece of high-quality chen xiang [could] reach several million yuan. At 10,000 yuan per gram, it is 35 times the price of gold that costs 260 yuan per gram. Some is carved into artwork.” He later states that 10,000 yuan was US$1,629 (at the time the story was written in 2013), which means that means several million yuan was the equivalent a several hundred thousand dollars US. At those prices, yes, it most clearly is…. Going back to actual perfume as perfume, in the conventional sense, I personally don’t see things changing in China’s fragrance market in the immediate future, particularly not in terms of an attitudinal shift across wide swathes of society whereby perfume will be loved for its own sake. (And most definitely not strong, powerful perfumes.) Mr. Dodwell is more optimistic about “significant growth” in the sector and attitude adjustments, but I still think status symbols prestige factors will drive sales for the next decade. Take those fashionable women with whom he began his story; they were buying Jo Malone, one of the lightest, quietest, freshest and simplest brands with a (supposed) prestige factor. I honestly can’t see the average, every day, typical Chinese consumer scouring eBay for something like vintage Opium, for example, or hungering for Amouage. Confucius. Source: YouTube & Twitter. If you are in the company of good people, it is like entering a room full of orchids. After a while, you become soaked in the fragrance and you don’t even notice it. If you are in the company of bad people, it is like going into a room that smells of fish. After a while, you don’t notice the fishy smell as you have been immersed in it. May you always be in the company of good people, so that you never smell of bad fish…. This entry was posted in Oud Fragrances, Perfume Industry, News or Trends and tagged Agarwood in China, Chen Xiang, chen xiang 沉香, Chenxiang, China perfume market, Chinese chenxiang, Chinese fragrance market, Chinese fragrance more precious than gold, Chinese fragrances, Chinese luxury market, Chinese use of oud, Confucius on scent, David Dodwell, Empress Cixi, fragrances during the Cultural Revolution, Incense in China, Mao's Cultural Revolution, Oud in China, perfumes under Mao, Shuang Mei Two Sisters Fragrance, Taoism, Taoism and fragrance, Taoist Heang by Kafkaesque. Bookmark the permalink. Interesting! I also think I read somewhere that they are trying to farm musk deer, and do extract real civet. And from what one reads, they are manufacturing plenty of perfume……counterfeit western biggies like Chanel and Dior. A search for ‘replica’ cosmetics and perfume on Ali Baba is eye opening…. Ha, yes, their counterfeit production is huge, for any sort of prestige product really. Bags in particular, I think. I saw some rather good LV knock-offs being hawked by street vendors in Italy that were made in China. Surprisingly, the fakes I saw being sold in Shanghai and Beijing were often quite shoddy in comparison. Well, perhaps it’s not so surprising; they may save the best fakes for the overseas market where people presumably have a greater familiarity and, therefore, a much more discerning eye. The bottom line, though, is that it’s still a prestige factor motivating sales, social aspirations rather than an actual love of something like scent for its own sake. I certainly can’t see the Chinese dying to wear something stinky and strong like farmed deer musk, for example, or civet. Lol. 😀 😉 It’s all being manufactured for overseas export and economic reasons. 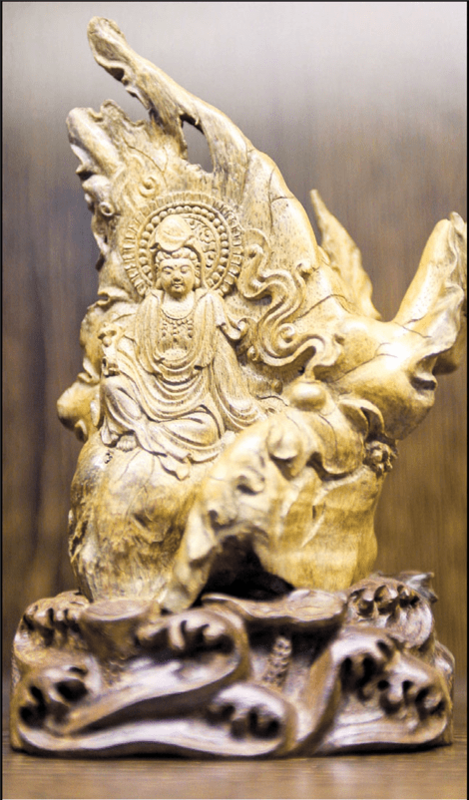 The Chinese market buys agarwood as wood rather than oil for scented statuary and furniture but especially for the aesthetic of the uncarved wood, often spilt to showcase the resin and placed on display and even locked in vaults as an investment. Great piece Kafka. I met a Chinese Orchid smuggler last week in Chiang Mai so it was interesting to read about the historic place of this flower in that world. I have found that in Asian countries when I share a swipe of Oud oil the response is always ‘smells like stomach medicine’ from boiling the resin for a medicinal tea. Jordan, long time no see. I hope you’ve been well? Regarding the oud, it certainly makes more sense to me to display the wood (especially if carved to showcase the resin), carve it into artwork, or to put it in a vault as an investment more than having it go up in smoke like that Chinese Chen Xiang Association chap/director was saying in the articles. That just strikes me as insane if we’re talking about pieces that cost hundreds of thousands of dollars/pounds/euros or several million yuan. Interesting to hear that people associate the scent of the oud oil with medicinal teas. On one level it’s not surprising, particularly given just how extensive the range of Chinese medicinal teas can be (I’ve tried some doozies that made me wince). On another, I’m surprised they find no olfactory resemblance to the smoke or to the burning of the wood as a sort of incense. I suppose only the very rich can afford that while the ancient, traditional medicinal uses are far more widespread amongst the overall population. As for the orchid smuggler, I’ve read about those but, wow, you actually met one?! What was he like? Very, very interesting article about “new, far, and promised lands”. Bravo! Aww, very sweet of you, Andre. And it’s so nice to see you here. How are you? I hope you’ve had a good summer so far. BTW, your site is always such a joy to read. It would be quite a bit of a stretch to say that oud is the single most sought after luxury item in China… It’s popular in some circles that appreciate it more for the cultural association with a bygone era in Chinese history than for the cost. The main reason that there is no successful Chinese perfume brand is that perfume is an item meant to evoke luxury or exoticism and a Chinese brand has nothing to offer its audience in that department compared to, say, a French brand. The same psychology exist in the west, too, with all the faux French perfume names and house names. Chinese brands can only thrive when Chinese finally comes to find the indefinable aura for its own manufacturing/creative industry. I think that day is very far away. And when it happens, it is likely that Chinese brands will find acceptance abroad first with exoticism as the selling point and then seep back into the Chinese market with this external validation. I agree with you regarding your assessment on why there has been no successful Chinese perfume brand to date but, you know, one could have easily said the same about Middle Eastern fragrance brands not all that long ago. They could hardly have the cache of a French brand in terms of luxury, but then Amouage came along and changed everything, pioneering the way for a flood of other luxury Arab and Middle Eastern brands to follow suit. Amouage has had the same prestige, luxury, and exoticism factor as the very best Western brands for a while now, and is arguably deemed far more high-end than, say, Chanel. I really think the Chinese could do something similar if they actually wanted to and if they committed the money to it. Even if they don’t have the same sort of fragrance history as the Middle East (in terms of scent as an applied, liquid product), a wealthy Chinese businessman could easily hire a French nose to create perfumes for him under a no-holds-barred budget like Amouage did when it started out. (And like so, so, sooooooo many new, start-up Arab luxury perfume houses are doing right now.) The Chinese wealthy financier/businessman would have all the money to advertise in the West, using western marketing techniques and PR companies, and taking advantage of the novelty factor in Western eyes of being the first Chinese luxury perfume house. It would be precisely as you noted with acceptance first coming in the international/Western market abroad before the brand seeped “back into the Chinese market with this external validation.” I think you absolutely nailed that part with the direction or flow of movement. Anyway, this was a fun and interesting discussion, and I greatly appreciated you taking the time to share your thoughts. Thank you Kafka for this interesting piece! I read the article on South China Morning Post, too. I was puzzled by this lack of olfactive culture in modern China, as in ancient literature, various scented accessories and incenses do get mentioned, and the rupture because of the Cultural Revolution makes a lot of sense. The discussion about the lack of Chinese brands is very interesting. I think that viewing perfumes as a prestige item, does contribute to it. One would need to invest a lot to achieve something like Amouage. Also the fact that there’re quite some counterfeit chains, damages the reputation of small business. I’ve heard two brands recently: Re classified调香室 and Fukudo浮香堂. I haven’t had the chance to test them, but from the reviews and their PR, the first one seems relatively close to the style of Jo Malone, fresh/pleasant smelling semi-niche with a romantic name referencing various novels or films, while the second one seems to be a bit more daring in scents. As for the oud, I would second that it’s the wood itself, or statures and accessories made from it that people are after, at least from what I can gather. Dear Yinghao, it’s lovely to see you. I hope you’re having a good summer? Thank you for letting me know about the two perfume brands and what they’re like, roughly speaking, in style. As you might have guessed, I was more intrigued by Fukudo, the one that *wasn’t* like Jo Malone. 😉 It would be so interesting to sniff them. If you do, I hope you’ll report back with your findings. Fascinating. I would never have thought the Chinese would be admirers of oud. But the wealthy Chinese are very much into conspicuous consumption. Sounds like burning oud is the ultimate status symbol, like having a dinner with lots of truffle elements used to be. Fascinating article! Thanks for your research and writing. Btw, I buy Japanese incense on Amazon, and recently noticed that there are now some Chinese brands for sale. I think my comment didn’t go through, which was only to say thank you for this interesing article and your research. I noticed recently that Chinese incense is now available om Amazon. Shanghai Tang has a range of perfume produced under their name. I acquired one blindly as I was feeling a bit adventurous the other day. It was not bad at all but as you clearly noted, it leans on the side of fresh, and with a very soft projection and not much longevity too. The nose behind it is no other than Carlos Benaim. Oh and by the way, your article makes a good and interesting read. I am enlightened. Thanks a lot. Welcome to the blog, RY. I appreciated you letting me know not just about Shanghai Tang but, in particular, your own experiences with it. Hearing an actual report from the ground, so to speak, on a specific brand was extremely interesting. Carlos Benaim, too? That bodes well for what other brands may do in the future, perhaps following the sort of path that Amouage did years ago in breaking through to the West (and back home as well). I do know that Tom Ford or, rather Estee Lauder, has specifically tried to target the Asian markets with his Atelier d’Orient collection that tried to create lighter, quieter, fresher fragrances, albeit by his standards and as compared to his typical powerhouse aesthetic. I don’t have the sense or impression that they really succeeded in achieving a big hit or frenzy, though. The fragrances were simply not fresh, mild, clean, and gauzy enough, I suspect. Let me know if you feel adventuresome again and test more Chinese-made brands. 😉 🙂 I’d be interested to hear your findings. I really enjoyed reading this. I was interested to read that Japanese people tended to perspire less, so I looked it up, and an article says that they have fewer aprocrine glands, which produce perspiration that smells. The downside to that occurs when the rare Asian individual DOES produce smelly sweat, it is cause for alarm, and many undergo painful treatments to rid themselves of these glands. I also loved reading about the Taoist belief that the extraction of a plant’s fragrance liberates its soul. That gave me a very soothing, peaceful visual. I wonder what would happen if I boarded a crowded bus in Japan wearing 3 big sprays of Hard Leather?